This post is sponsored by Ocean Spray Ⓡ PACt Fruit Infusions Ⓡ. All opinions expressed are my own. Hi there friends, I hope you're all enjoying the summer break! I feel like we've been in constant motion since school let out and I'm loving every second of it. In all honesty, I was a little concerned with how much I would be able to do this summer, as I near the end of my pregnancy. But so far, despite experiencing a few health challenges, I haven't missed a beat. I've been present for all for all of the fun and smiles, and I'm so very grateful for that. 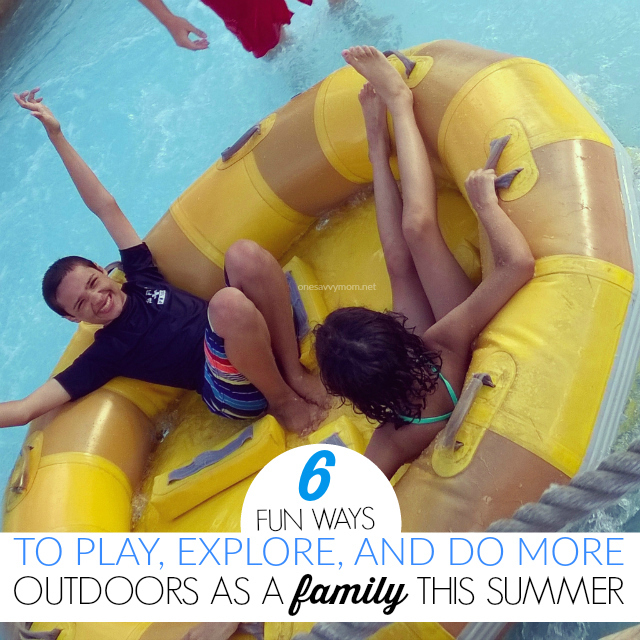 Summer fun for our family usually includes a ton of water and lots of quality time spent outside. This season, we've spent far more time outdoors than we have in past years. Usually, when the summer heat kicks into high gear, we retreat indoors to enjoy the air conditioning. This year, we've found alternatives to running inside when it gets hot. Of course, we spend plenty of time at the pool. And when it's really hot, we head out earlier in the day and later in the afternoon, to explore and play during the cooler points in the day. We've hosted a few outdoor family movie nights in our backyard. If you don't have a projector or screen on hand - check out simple attachments for your phone / corresponding apps. Use the side of the house or another surface (such as a bed sheet hung on a clothesline) to project the movie for the family to enjoy. Prepare plenty of popcorn, sodas, ice cream, other themed treats etc - to make the movie night even more memorable. We've roasted marshmallows with the kids. This is always a big hit! Grab some graham crackers and chocolate bars to make smore's in the backyard over the fire pit. We've done crafts and activities outside. Do a quick search on Pinterest for fun summer themed crafts, activities, and science experiments - then hit the backyard with all of the appropriate supplies for some fun in the sun! We've hosted outdoor family game nights. Create a giant version of your family's favorite game (such as our DIY XL Checkers Game - you can find the tutorial in our crafts section ) or play a hand (or 3) of UNO! Whatever game you choose, it's always more fun to play outside! We've enjoyed most evening meals outdoors. Whether you eat out on the patio or pack everything up picnic style for a meal in the park, it's far more relaxing to unplug a bit and enjoy some good food and quality time with family outside. 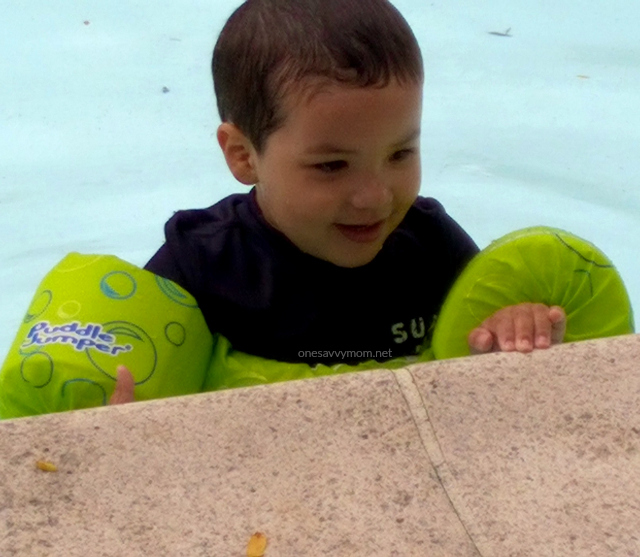 We grabbed an annual family pass to our local pool and a annual family pass to an area water park. The fees are well worth all of the family fun that both offer up during the summer months. If you have an water park or theme park close to home (or even a short drive away) - check out all of the great savings offered up when you opt for the annual family pass. Our area water park annual family pass only set us back what it would have cost for 2 visits this summer. This way we can visit as much as we'd like! This has come in handy being that I have to stay close to home, as I near the end of my pregnancy. 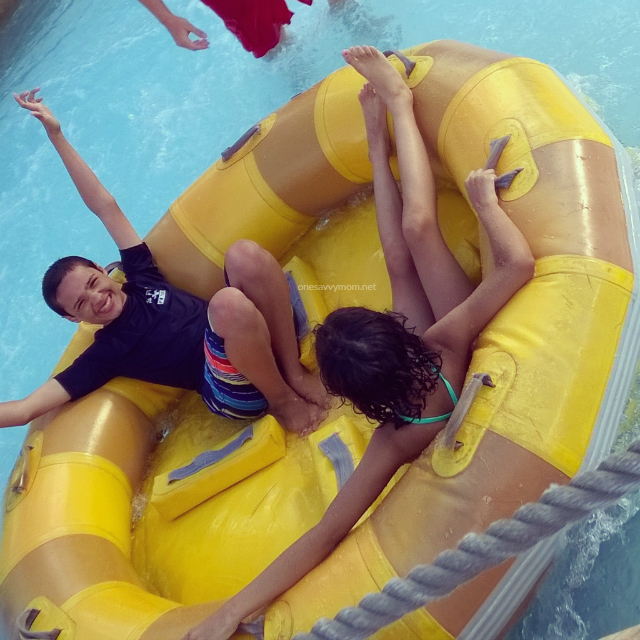 The kids haven't missed out on any of the fun this summer due to my inability to travel long distance - they've been having a blast! I have to say, I'm really enjoying the outdoor lifestyle far more than the being couped up in the A.C.! As we've been on-the-go so much, despite the rising temperatures, I've been extra careful about keeping myself and the entire family hydrated. 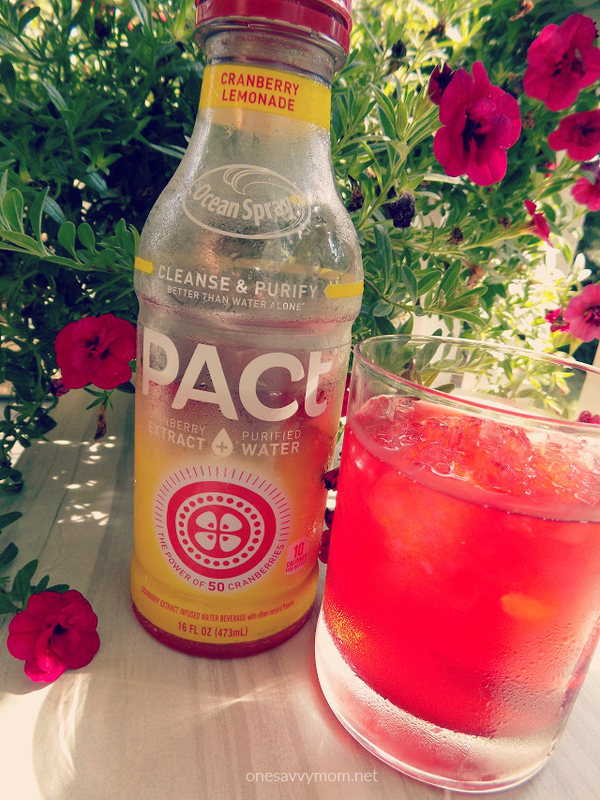 One of my favorite ways to hydrate, poolside or while watching the kids play outside in the backyard, is with PACt cranberry extract water from Ocean Spray. It uses the immense power of the cranberry to help cleanse and purify your body better than water alone; it's also non GMO, naturally sweetened, low calorie AND it only contains color straight from the fruit. It's all GOOD! 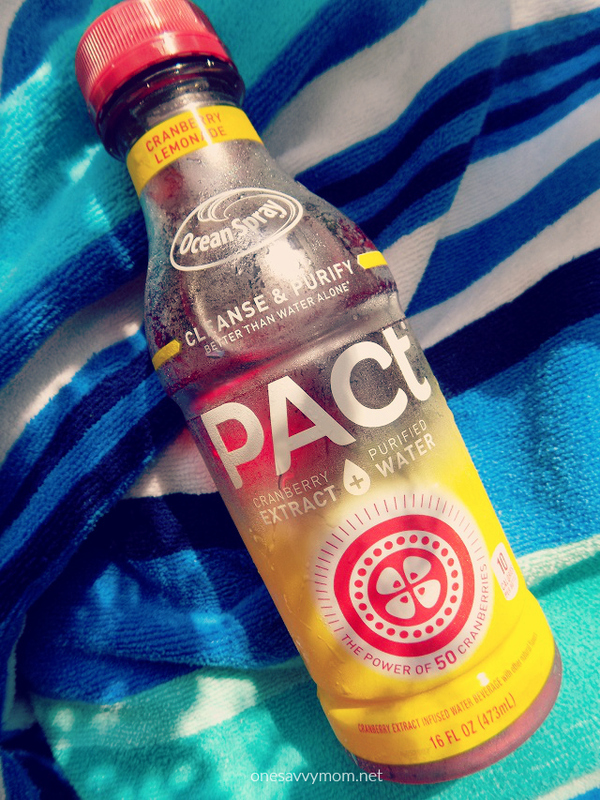 PACt cranberry extract water from Ocean Spray is absolutely delicious and it's SO refreshing on a hot summer day. PLUS, every serving offers up "the power of 50" - the power of 50 cranberries that is. That's pretty impressive to think about, in my opinion - 50 cranberries; 1 bottle! While all of the flavors offered up in this line are delish, I'm absolutely LOVING the Cranberry Lemonade PACt Water by Ocean Spray most. I rarely leave home without a chilled bottle in-hand these days. Did you know? PACs, or proanthocyanidins, are natural elements found in cranberries. Cranberries contain unique A-type PACs, which naturally cleanse and purify the body by preventing certain harmful bacteria from sticking, allowing them to be naturally flushed from the body. How is your family spending time outdoors this summer? However you're enjoying these long hot summer days, make sure to stay hydrated so you're ready for your next adventure!